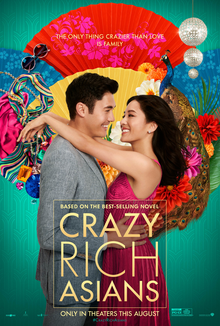 Scott, are they “crazy” rich Asians, or “crazy rich” Asians? Both could be true, Greg, but I’m more interested in whether you’re crazy about this movie. Let’s recap. We’re introduced to economics professor Rachel Chu (Constance Wu) who is dating eligible bachelor Nick Young (Henry Golding). Nick wants to take Rachel home to meet his family. Little does she know that Nick is the son of the wealthy Young family of Singapore. In fact, the Youngs are practically royalty having established the foundation of Singapore in the 1800s. And Nick is pretty much the Prince Harry of the Young family. Rachel has no idea what awaits her in Singapore. Nick’s mother, Eleanor (Michelle Yeoh), sees Rachel as a threat to the family dynasty. Some of Nick’s friends and acquaintances, moreover, are suspicious of Rachel being a gold-digger. In a scene reminiscent of The Godfather, they leave a bloody dead fish in Rachel’s bed to scare her away from Nick. Meanwhile, Nick plans to propose to Rachel, who questions whether the relationship can survive the family turmoil. And when I did this, I felt like I was watching a very bad impression of The Princess Diaries or My Big Fat Greek Wedding – only not nearly as entertaining. The movie felt like a series of scenes of Singaporean opulence peppered with people talking about other people. I could not have been more bored. Greg, I found Crazy Rich Asians to be a fun and culturally interesting romantic comedy that breaks no new ground yet delivers two hours of fairly solid entertainment. It’s a classic tale of young lovers who reach that crucial stage in the relationship when it’s time to meet the parents. Of course there is a clash between one of the parents and one of the lovers, and the whole film revolves around this conflict and its resolution. There were many cute moments and also some touching ones, too, involving family members who behave well and others who do not. If I had a problem with this film, it’s that the conflict was rather contrived. First, as you point out, Greg, an econ professor should know more about Singaporean economic history. Second, there’s no way that a man as smart and as savvy as Nick would fail to anticipate his mother having major issues with Rachel. Nick’s family can be extremely elitist and provincial, and so it’s out of character for Nick not to see it coming. Another problem centers on his mother’s transformation. Somehow, she finally comes around to accepting Rachel, yet the film gives few clues about how this transformation happened. Was it something Nick said? Was it the game of Mahjong or some other pivotal event? It’s likely that Nick threatened to elope and never be seen again, but we’ll never know. Well, Rachel did employ a small bit of game theory to skewer the mom. But, yeah, apparently a game of Mahjong convinced Nick’s mom that Rachel was alright in her book. Sadly, the film didn’t bother to educate us on the nuances of the game so that we all could be in on the climactic moment. In some sense, that was a bit of cultural elitism on the part of the filmmakers. Crazy Rich Asians was a dull, unimaginative romantic comedy whose one unique element is an all-Asian cast. Not since The Joy Luck Club have we seen this in American theaters. I’m excited about the diversity we’re seeing coming out of Hollywood, but I’m not excited about this movie. I can muster only 2 out of 5 Reels. As for the heroes in this film, there’s very little to appreciate. Rachel is competent and loyal to her own family. She’s a change agent for Nick’s mother. But in all other ways is quite the Mary Sue character. I give her 2 Heroes out of 5. And there are a few interesting archetypes including the VENERABLE ELDER in Nick’s grandmother, the TIGER MOTHER in Nick’s mother, and the GAY BEST FRIEND. I give them a tepid 2 out of 5 Arcs. Crazy Rich Asians is good solid entertainment featuring a nice love story, some juicy family dysfunction, several tumultuous interpersonal conflicts, and a sweet happy ending. There’s no deep substance here, nor should there be. This is a light and innocuous romantic comedy of sorts that does its job and also does it in a refreshingly new cultural context. I give this film 3 Reels out of 5. In our Reel Heroes & Villains book, we discuss the romantic duo as a prominent hero type, and Nick and Rachel fit this type to a tee. Like any good heroes, our duo transforms as a result of their journey. Nick acquires insight about the true nature of his friends, family, and most notably his mother and grandmother. 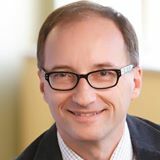 Rachel transforms by recognizing her status and place among Nick’s family, but most importantly she develops self-confidence and resourcefulness in navigating through these dysfunctional family waters. Our duo deserves a rating of 3 Hero points out of 5. The archetypes in this film include the archetypes of young lovers, a standoffish and meddling mother figure, a matriarchal grandmother, a hateful former girlfriend, and a goofy brother. All told, these people merit a rating of 3 Arcs out of 5. By Greg Smith in 2 Archetypes, 2 Heroes, 2 Reels, 2018, Comedy, Romance on September 9, 2018 .